There is no exaggeration in stating that carp is a culinary symbol of Polish Christmas Eve. 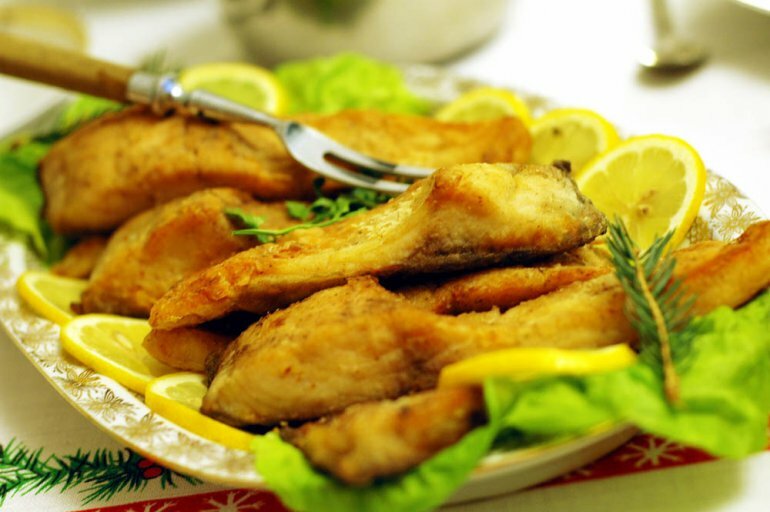 On this day, Poles usually eat the fish fried in batter or breadcrumbs, served cold in a jelly, or simmered with sweet seasonings – the so-called Jewish carp recipe. At times the fish is also served with a typical gray gravy. Before the Second World War, the carp used to appear on the Christmas table, but only as one among many other freshwater fish. The “carpe a la polonaise” is a Christmas dish proposed by Antoni Teslar, the author of a 1910 cookbook entitled Kuchnia polsko-francuska (Polish-French Cuisine). After the war, Communist authorities launched mass-breeding of the cheap carp, as part of the so-called “battle for trade”, and limited access to other freshwater fish such as perch, pike, zander, and eel. Nowadays most Poles couldn’t imagine Christmas without carp, even though a great majority swears they literally cannot stand it. Older people will associate the time before Christmas with a carp swimming in the home bathtub, when one had to clout and kill the live fish before preparing it. This infamous procedure is luckily being abandoned. During the Communist period, the old ways of preparing carp, which often derived from aristocratic customs, were considered to reactionary and hoity-toity, and thus they quickly became forgotten. Nowadays there are attempts at reconstructing these recipes, made by certain chefs as well as rural women’s circles. And although one could argue about whether the traditional or innovative takes are superior, it is nonetheless a fact that carp is a fish seldom served at restaurants. 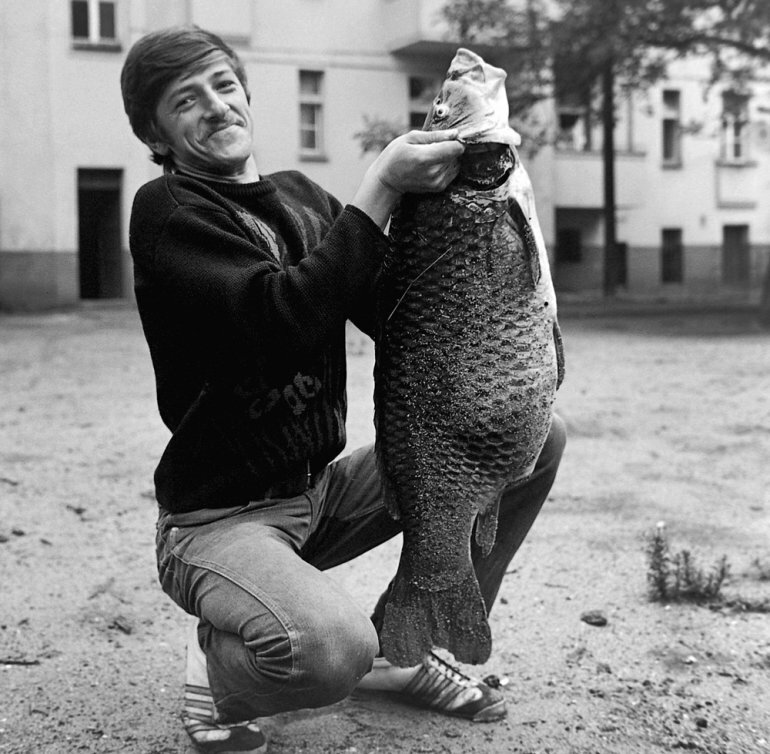 The most famous Polish breed of carp is royal carp (karp królewski) from the area of Zator, near Kraków. This fish owes its quality to the conditions of its environment, as well as tradition, and breeding based on natural food. The beginnings of the Zator carp farm go back as far as the 12th century rule of king Bolesław III Wrymouth. The flavour of the fish was appreciated by Polish kings, and hence the name of the breed. Throughout Poland’s golden age, the Zator region was famous for its fish farm. From mid 17th century, and the beginnings of the fall of the Republic, the breeding was almost nonexistent. It was only the second half of the 19th century that brought a renewal and intense development of the farm, and the carp of Zator regained its reputation. In 2011, carp from the area was officially registered by the European Commission as a Protected Designation of Origin. Many lovers of Christmas carp believe in the superstition that a scale of the royal fish which got eaten at Christmas eve ought to be kept in the wallet in order to attract money. In the past, carp, along with other freshwater fish, was eaten mostly during long periods of religious fast. Recipes in the oldest cookbooks convey a multitude of culinary possibilities. All parts of the fish were once used. There were “bigoski” [literally “little bigos”], which consisted of chopped fish parts, soured with lime, with the addition of white wine and a fast broth. This dish was in fact an ancestor to the contemporary Poles’ bigos. As early as the 17th century we can find a “black carp” recipe, with rye bread, sour apples, grated gingerbread and wine. According to the Czerniecki’s Compendium Ferculorum (also dated 17th century), “black carp” was also cooked with jam, liquefied with vinegar, cherry juice and spice. Baroque cuisine even knew of pâtés made with carp. They were baked for a long time in a dough with spices and limes, until they became so tender that “one could even eat the bones”. Carp tongues were also used “after picking out the tongues from the carps, insert them into some good butter, with chopped baked onion, cover it in butter, add some water, salt, sprinkle with finely chopped limes, add pepper and nutmeg. Cook and serve”. During the 19th century, the carps were baked in white sauce, or fishballs were made with carp meat, or it was served “the Jewish way”, as well as served in gray gravy (which is also a classic nowadays). There was really a multitude of recipes. Some recommended for the carp to be cooked in dark or light beer, others used wine, the carp’s blood, caramel, or rye bread. There was also blue carp, which changed colour through being cooked in lemon juice or vinegar. Carp roe could not be wasted, either. In the 17th century it was used to for many gravy and sauce recipes, and added to egg servings. Leniwety is a strange dish that was made with carp roe, and served sweet. It was made with pepper, cinnamon, sugar, lemon rind, raisins, cardamom and soaked in burned vodka. And what about fried carp, today’s most popular recipe? It was known as early as the first half of the 19th century. Battered carp recipes can be found in numerous cookbooks of the era. It used to be served with freshly grated horseradish, simmered cabbage and mushrooms, as well as potatoes. Today, it is also the most popular way of serving the fish for Christmas eve dinner.